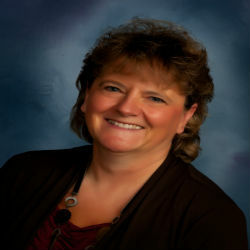 Rolla, N.D.—Valerie Edwards has been promoted to market retail leader. Valerie’s main responsibilities will be to provide leadership and expertise to the Rolla and Belcourt locations to fulfill the retail initiative vision for Dacotah Bank. As a leader Valerie will oversee the day – to - day operations of the customer service area and the management of the Belcourt branch to ensure the best customer experience at Dacotah Bank. Valerie brings over 40 years of banking knowledge to this position. She is a graduate of North Dakota School of Banking, Class of 1998 and was a member of the team that received the “Top Bank Award” for 1998. Edwards and her husband, Robert, have two children, Tyler and Shawna. In her spare time Valerie is a member of the Rolla Chamber of Commerce and also a member of St. Joachim’s Catholic Altar Society. She can be reached at (701) 477-3175 and by email at val.edwards@dacotahbank.com.